According to the Ovid, Narcissus was a young hunter who put himself first before everyone else. 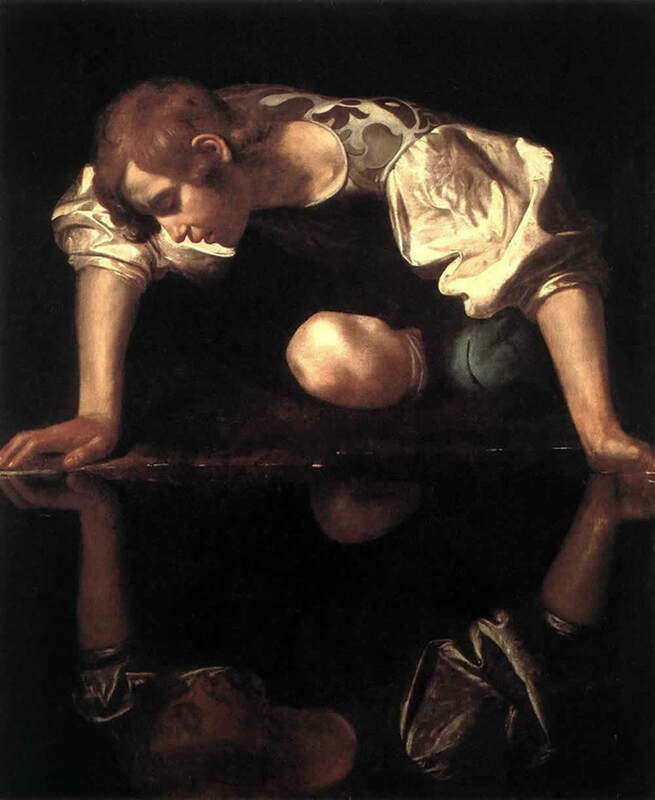 Enamored with himself and him alone, Narcissus led a vain life filled with doing nothing but loving himself and only doing what he wanted first. Then one day Echo saw him and fell in love. Echo started following Narcissus. She loved him so much, she would even repeat everything he said. When Narcissus learned of Echo, he chastised her. He didn’t want anyone to bother him and interrupt him from loving himself. Heartbroken, Echo ran away, forever hiding in the small holes of caves. Nemesis was furious when she found out about this. Nemesis was the spirit who would humble those who affronted the gods. Nemesis decided to have Narcissus look at a pond. The pond was as smooth as glass and that’s when Narcissus saw himself for the first time. He didn’t know that he was looking at himself, he just thought he saw something beautiful. Realizing that he could never see anything more beautiful, he drowned himself. And that’s what we are doing to ourselves. We are slowly killing ourselves one selfie at a time. We may be physically alive but our souls are dead. Our vanity is making us love ourselves so much that we are now destroying our relationships with others. We would rather love the false idea of ourselves than creating new connections. We are so self centered and self involved, we are now pushing away those that would better us. Water gives life. It can also destroy. Our smart phones can help us get to a gas station, but they can also make us yearn for approval. Narcissus had water. We have technology. At the end, our admiration of that same reflection will be the demise of many.